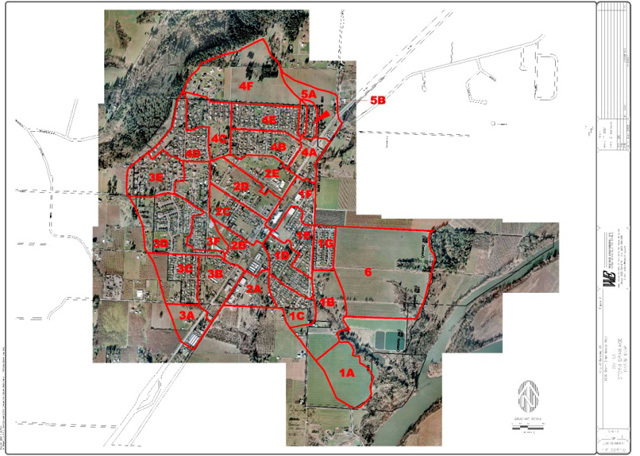 Westech has prepared numerous Storm Drainage Master Plans for various communities in the Willamette Valley and surrounding areas including Jefferson, Philomath, Mount Angel, Dundee, and Mill City. Storm Drainage Master Plan development involves determining drainage basin boundaries from aerial topographic maps, estimating runoff based on terrain, soil type and level of development, then creating a prioritized list of drainage infrastructure needs. The Master Plan provides the community with a tool to budget, plan and schedule storm drainage infrastructure projects in a manner that best fits the community’s needs and resources.